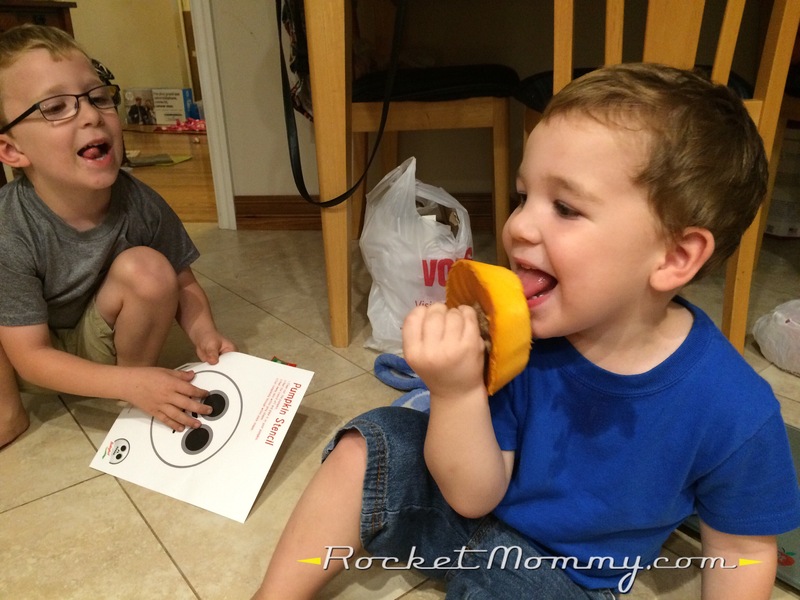 Mini Babybel (R) provided me with product for this review. However, thoughts and opinions are my own and do not necessarily reflect those of the brand. We already know that I’m a big fan of Mini Babybel cheese (or Baymax cheese, as my kids are still calling it). 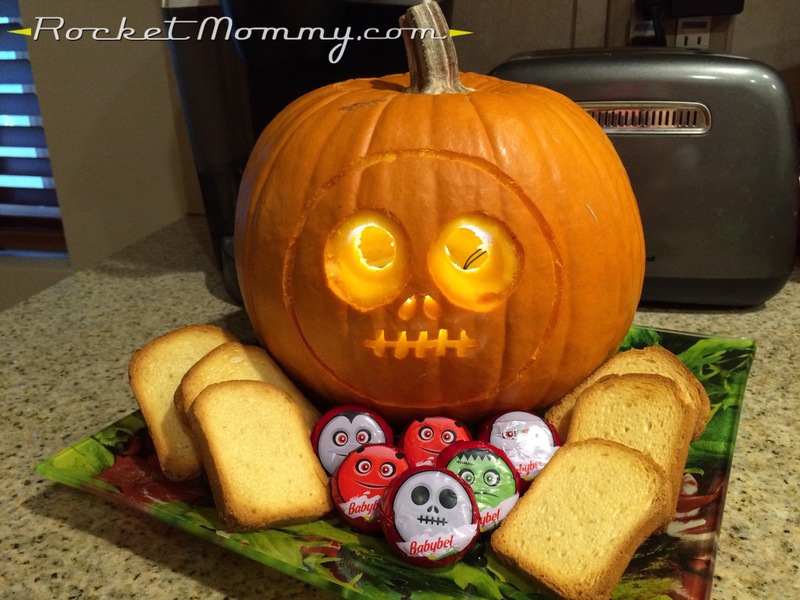 So when Mini Babybel reached out to me recently with a fun Halloween challenge, I had to take them up on the offer! I had no idea that Mini Babybel cheeses came in adorable Halloween-themed wrappers in the fall, but they do! They have the cutest little character faces printed on them! 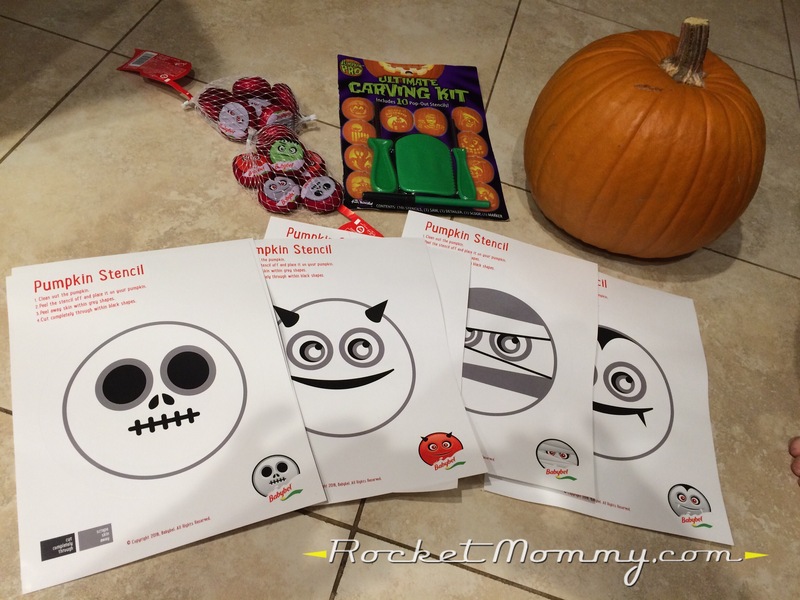 And the folks over at Mini Babybel went a step further and created a set of easy-to-use sticker stencils for us to use for pumpkin carving, so we could make a Mini Babybel jack-o-lantern to match the little Halloween cheeses. 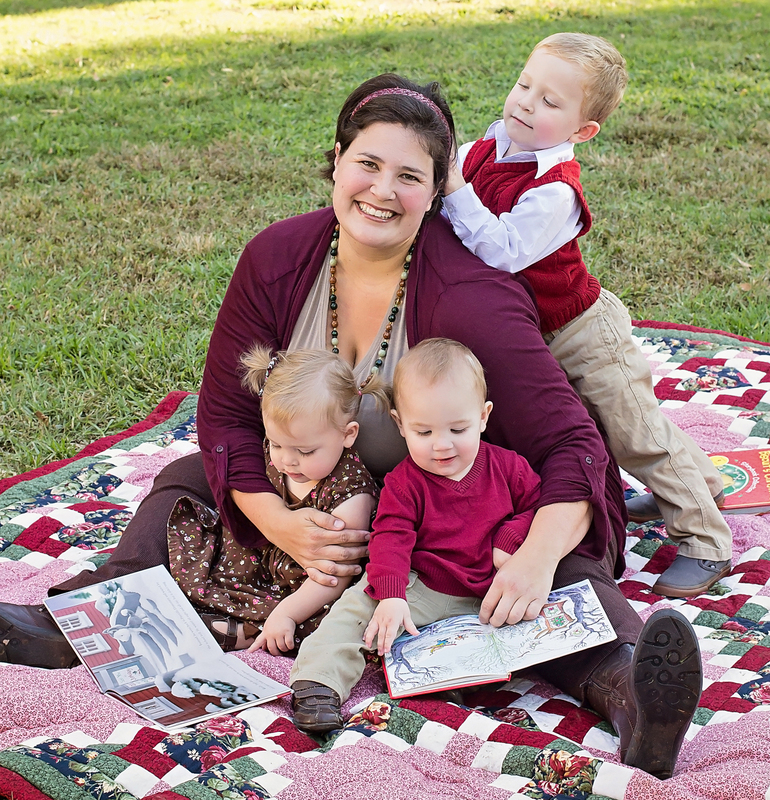 How cute is this, right? I love the mummy and the vampire! But we only had one pumpkin, and I let the kids choose their favorite, and they unanimously chose the skull. I know we all know how to carve a pumpkin, right? 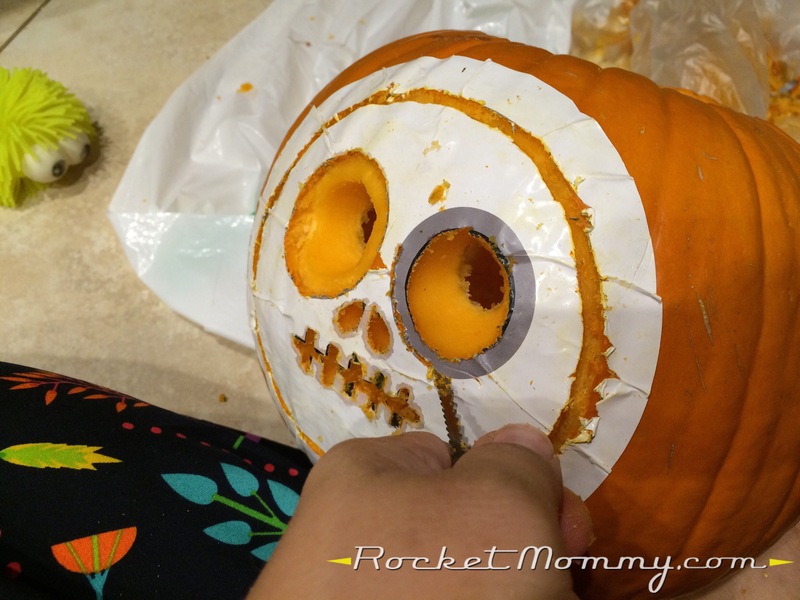 You start by cutting a hole in the top around the stem, so you can use the stem as a handle. 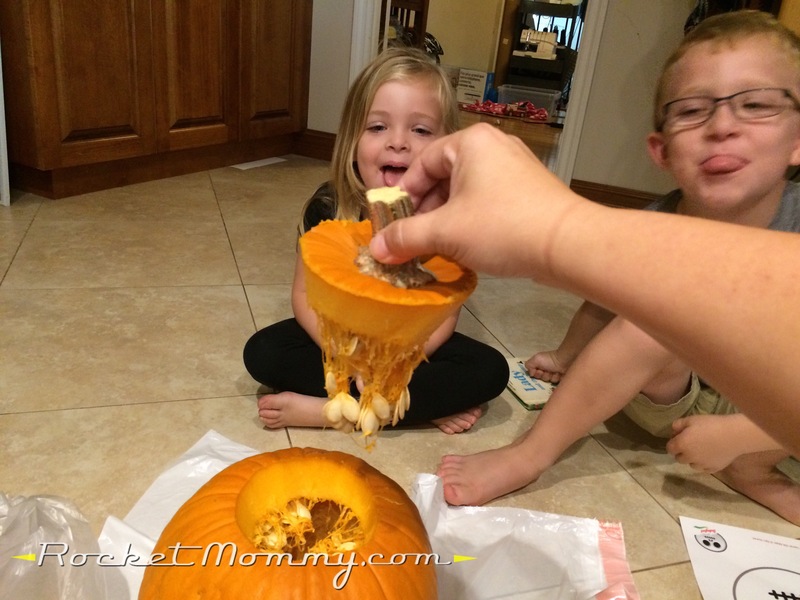 Then you scrape the insides out so there’s no stringy goop or seeds in the center anymore, and you let your kids help with that part so you can gross them out with the slimy pumpkin innards. 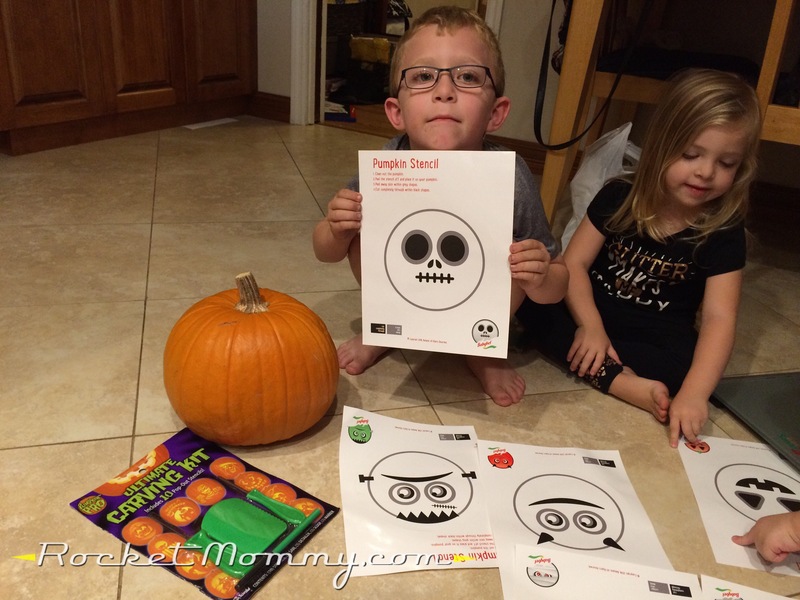 Then while you’re preparing the stencil, you look up and see one of your kids doing something icky like licking the top of the pumpkin while the other two scream about how gross that is. And you go ahead and give them a Mini Babybel cheese to nibble on because they MUST be hungry if they’re willing to taste a raw vegetable, haha. Here’s the fun part – the sticker stencil! 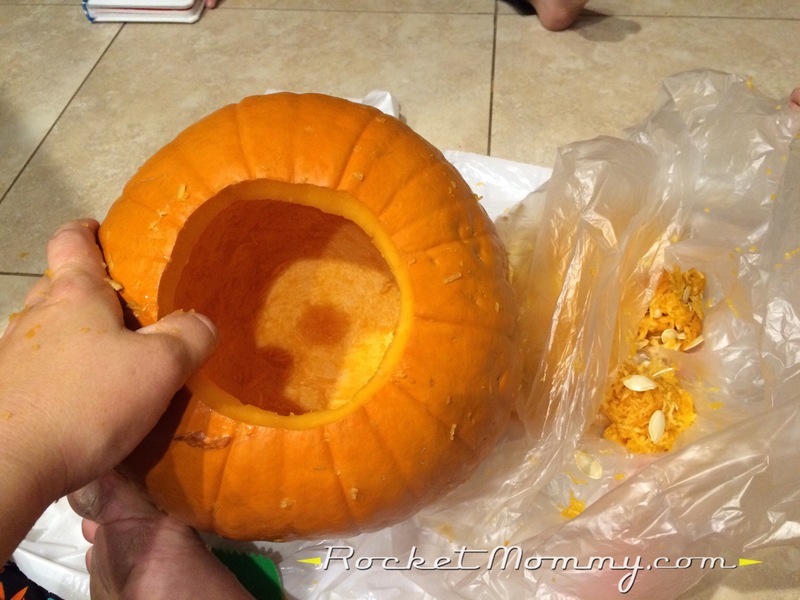 The directions were very easy to follow – carve the gray parts halfway through, cut the black parts all the way through. And once you’re done, you peel all the soggy remnants of the sticker off and give that pumpkin a little rinse, and presto! 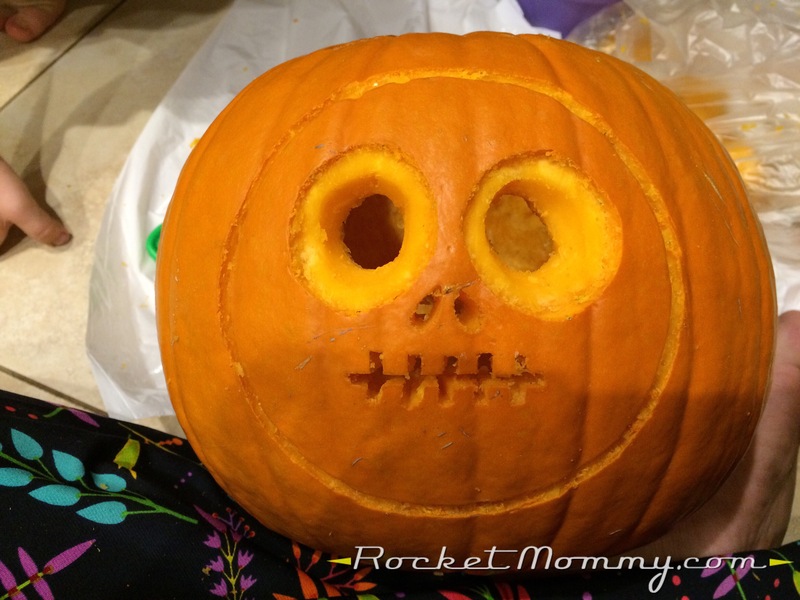 You have an adorable Mini Babybel jack-o-lantern! 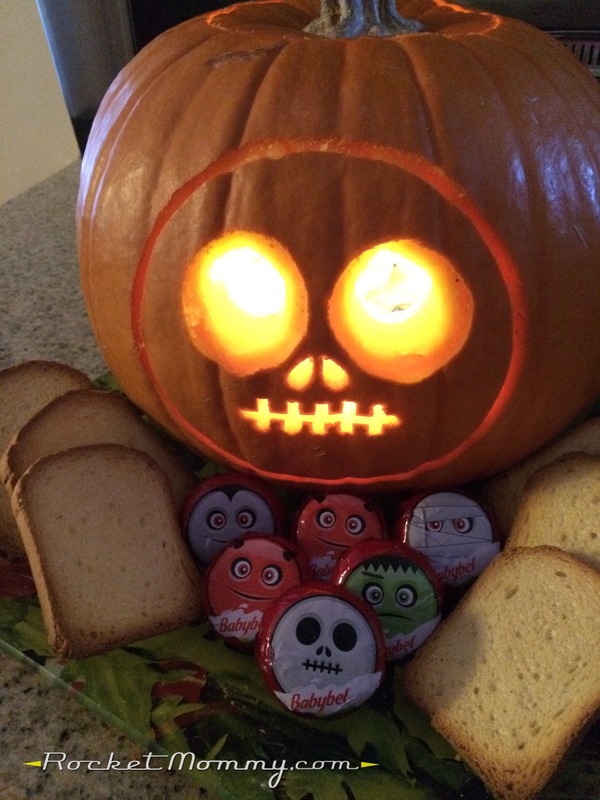 It not only makes a cute decoration for your porch, it’s also the perfect addition to an easy party platter with some Mini Babybel cheeses and some brioche toast crackers (I liked that these were vaguely tombstone-shaped!). Totally Pinterest-worthy party food, without having to fuss around with food crafts! 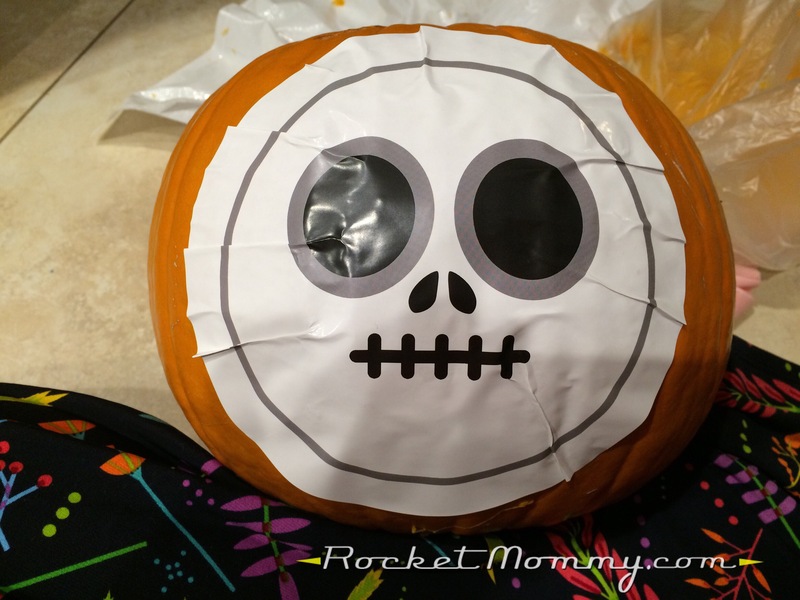 I brought this to a Halloween MOMS Club potluck, and everyone went crazy over the cute cheese wrappers. And my kids loved having them in their lunch boxes, too! So if you’ve got a little gathering with some friends tonight before you take the kids trick-or-treating out in the neighborhood, make it easy on yourself and grab some Halloween Mini Babybel cheese and put together your own cute, kid-friendly cheese and cracker platter!